Spanish parliamentarians will debate the infamous Ley de Costas, the bane of many holiday-home owners, for the first time since it was introduced in 1988. Finally, a political initiative from Spain’s regional political parties that makes some sense. The Coalición Canaria (CC) party from The Canaries has drummed up enough support from opposition parties such as CiU, a regional party from Catalonia, to debate new proposals to water down some aspects of the Ley de Costas. 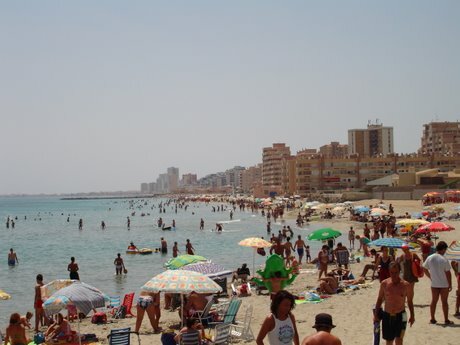 The law was meant to protect the coast – Spain’s key tourism asset – from over-development, and make it accessible to all. But thanks to muddled thinking and terrible implementation, the law utterly failed to protect the environment whilst causing misery for tens of thousands of small property owners, many of them Britons like Heather and Jeremy Taylor. In response to the outcry from owners, Coalición Canaria propose reducing demolition threats hanging over many of the properties built on public land, even if built after the law was introduced in ’88. They also want to introduce subjective criteria such as architectural and historic values when evaluating property built on public land, whilst transferring more decision-making powers over demolitions to regional authorities. All of which would make demolitions far less likely. The moderate Catalan nationalists CiU want to revise the boundary criteria in built up areas like the Santa Margarida urbanisation (Roses, Girona), and the Empuriabrava Marina. They also point out that many of the victims of the law are foreigners who were unaware of the risks when they bought homes on the coast in good faith, resulting in international condemnation for Spain. The Greens are against any reform of the Ley de Costas, despite its utter failure to protect the environment. On this question they seem more concerned with ideology than actually protecting the environment. For its part the Government, run by the PSOE socialists, opposes the proposals, though for the time being it has stopped implementing the law as rigorously as before.